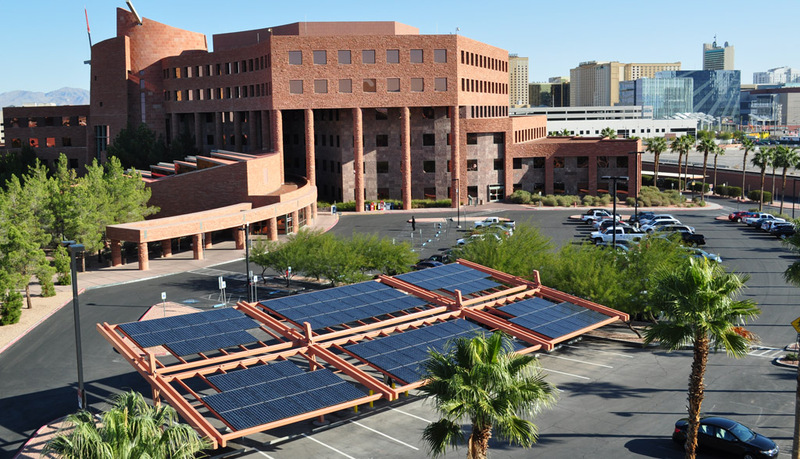 4,000-SF, custom-designed 30kW monofacial photovoltaic covered parking for the Clark County Government Center. 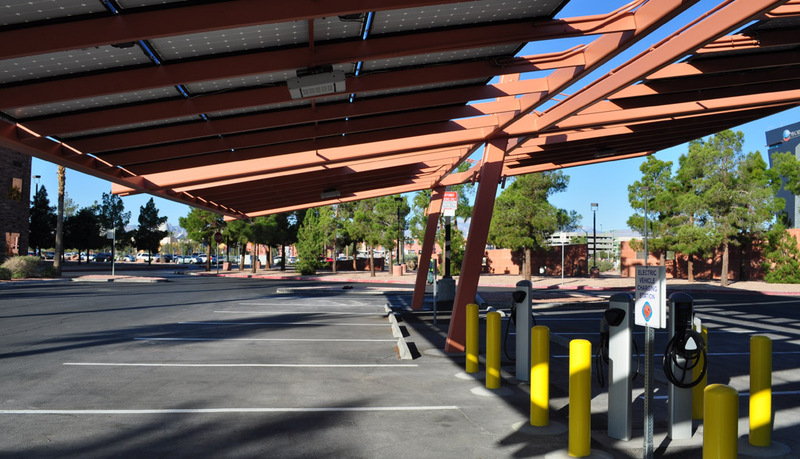 The project included vehicle charging stations, an interior lobby kiosk for public monitoring of power production, and nighttime LED columns and under-canopy lighting for safety. 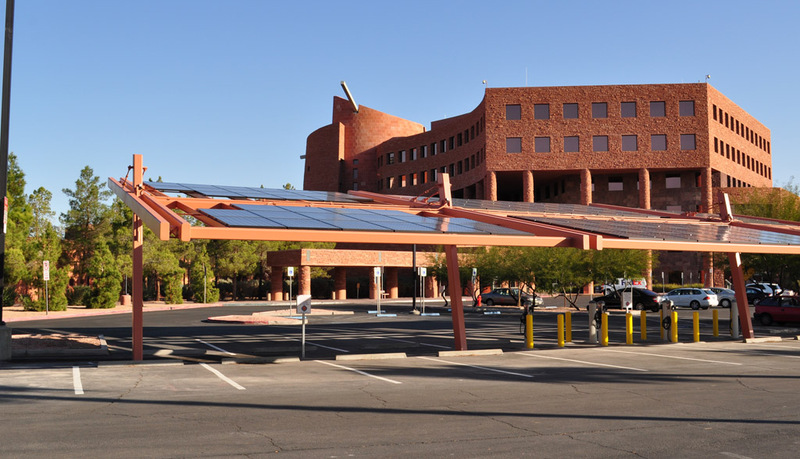 The project was funded through ARRA 2009 and the US Department of Energy.